Like the Shakers, I find myself seeking better tools, machines and methods to facilitate my work. I have found that good quality hand tools are almost a necessity for fine work, but I also prefer to use power tools for stock preparation. The power tools “buy time” for the hand tool work that follows. 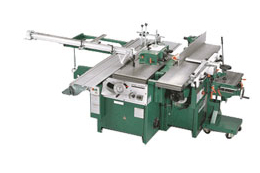 My primary power tool resource is a Felder CF 731-Pro Combination machine that incorporates a 6′ sliding table saw, 12″ jointer/planer, a tilting shaper, and oscillating mortiser. The Felder is an incredibly well designed machine that saves considerable time and performs many common operations without requiring a host of other jigs. 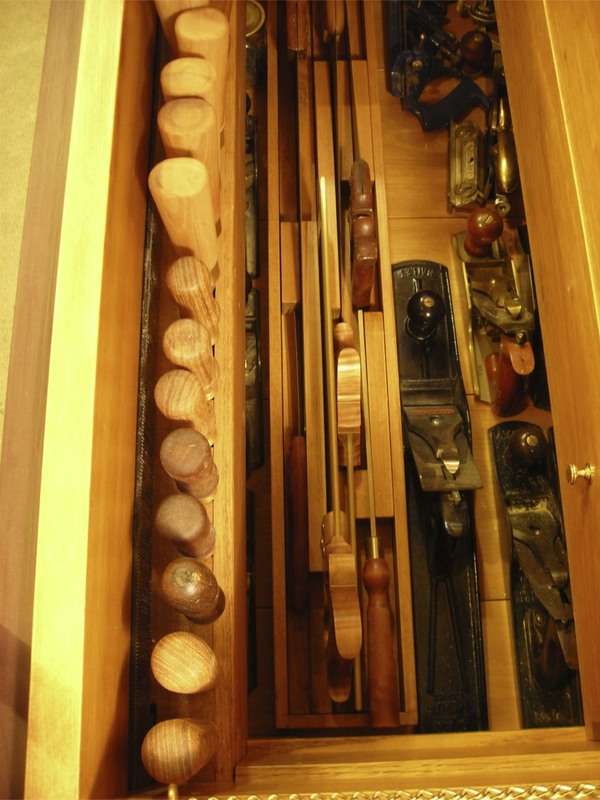 Most of my hand tools are kept close at hand in a traditional tool chest which I have described in “Will the Workshop Come to Order.” While I have used different ways to store hand tools, this chest has been very useful and I like having nearly every hand tool in one place close to my workbench. The largest and most important “tool” in my workshop is my large workbench. This bench is a scaled down reproduction of a Shaker bench at the Hancock Shaker village. Even though scaled down, it is still 9′ long and 34″ wide and handles just about anything from small parts to full-sized doors with equal ease. The drawers provide readily accessible additional storage space. The workshop is timber-framed and provides a very nice working environment with plenty of light. 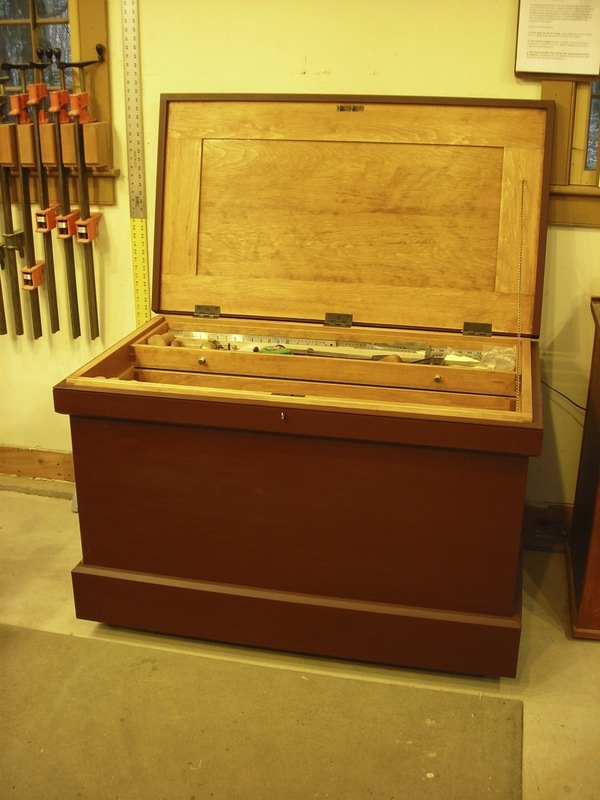 More information on the Shaker-style workbench can be found here. Thanks for the request for info on the workbench vise. If you have access to “The Workbench Book” by Scott Landis (still available through Amazon: http://www.amazon.com/The-Workbench-Book-Workbenches-Woodworking/dp/1561582700/ref=sr_1_1?ie=UTF8&qid=1364646326&sr=8-1&keywords=The+workbench+book) he describes the leg vise in detail in the appendix. The only difference is that the original used a wood bench screw, whereas I used a metal one from Lie-Nielsen (http://www.lie-nielsen.com/catalog.php?sku=lssv). On the bottom, I used an acme screw with nuts and a pin to hold it in place on the front leg. It is more or less “loose” in the bottom hole of the bench, and the pin on the leg holds it fairly loosely. I’ve tried to find the place where I got the acme screw, but can’t locate the paperwork. It should be available from many suppliers if you search via google. Reid Supply at http://www.reidsupply.com has some, their largest being 7/8″. Mine is 1″ so I know it didn’t come from there. On the old bench I actually used a 3/8 or 1/2 inch threaded rod from the hardware store, but adjusting it took way too many turns on the adjustment nut. If I were to build the leg vise again, I would take a serious look at the “criss-cross” vise by Benchcrafted (http://benchcrafted.com/Crisscross.html). When I first saw it, I didn’t like the thought of having the circular handle (not very authentic looking on a Shaker bench), but when I visited their site today I found a photo at the bottom of the page that uses the more traditional handle. Having seen that, I may have to reconsider… The criss-cross vise would be a lot more convenient in daily use. Hope this helps. If you want additional details please feel free to contact me. I could also post some additional photos though I’m short on time in the next couple of weeks for actually getting them done and posted.